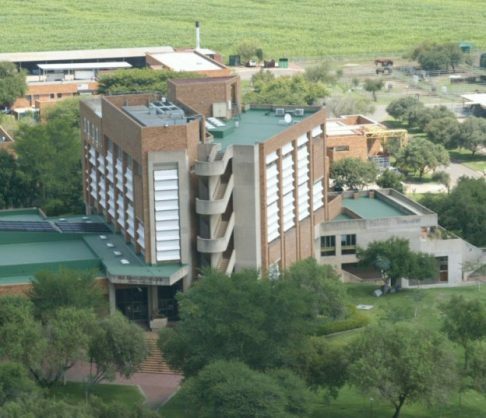 Aerial view of Unizulu main administrative building. There has been an increased number of unconfirmed deaths reported, but rumours that the alleged killer died from injuries have been proven false. This past weekend was filled with tragedy and chaos at The University of Zululand after three people reportedly died and one person was injured. This followed a fight between two students which reportedly spiralled out of control. According to The Daily Post, the fight allegedly broke out on Sunday afternoon at the eSiphetho Residence on the KwaDlangezwa campus between two roommates over a girl, leading one student to slash the other’s throat. A student just killed another student with a table knife ( cutting the throat like slaughtering) at far East residences SPHETHO BB. Securities came before the lad was stabbed and removed students who were separating the fighting students, upon realising the stabber had a knife they flew away. CRY MY BELOVED UNIZULU CRY???????????????????????????????? Police have confirmed that the murdered man was first year education student Nhlaka Sazi Ngubo (20) of Port Shepstone, reports the Zululand Observer. The publication attributes the fight to cold water taken without permission from the fridge shared by the students in question. This version of events was supported by a Twitter user, @ChpePearl who shared screenshots of a Whatsapp conversation in which a witness who claims to have been in the room told her what they saw. According to the unidentified witness, the alleged killer suffers from a mental disorder and often used to fight with his roommate. The witness corroborated reports that the fight broke out over water taken from the fridge. A group of students who overheard the commotion allegedly chased down the killer and enacted mob justice by stoning him. He was saved by campus security and police who were called to the scene to deal with the initial fight. Police reportedly fired rubber bullets into the air and in the direction of the mob in order to disperse them, foiling their attempts to attack the alleged killer and later block the police van that was trying to remove the injured student from the scene. According to EWN, the student and alleged killer were both arrested and a police guard is in hospital after sustaining injuries at the scene. It was later reported that he had succumbed to his injuries but those reports were untrue. There have also been rumours that another unidentified student who was part of the crowd reportedly died after sustaining an injury from one of the rubber bullets, and that another student has been left with a broken leg after she fell in the commotion and got trampled by the crowd. So the numbers of death have risen at UNIZULU ????? Why are the media outlets so quite, or is it because it not one of those white university nton nton. Constable CK Mkhwanazi was injured during the chaos and is currently receiving treatment at Melomed Hospital in Empangeni. UniZulu management and KwaZulu Natal SAPS have not yet responded to requests for comment and confirmation of these reports.